After Rolling Stone magazine named Guerrero's third studio album, Soul Food Taqueria, #2 on its 2003 "best of list" Tommy Guerrero had numerous unreleased songs appear on the video game skate. Skateboard was perfectly natural after being part of the legendary Bones Brigades and after starting Real with Jim Thiebaud. 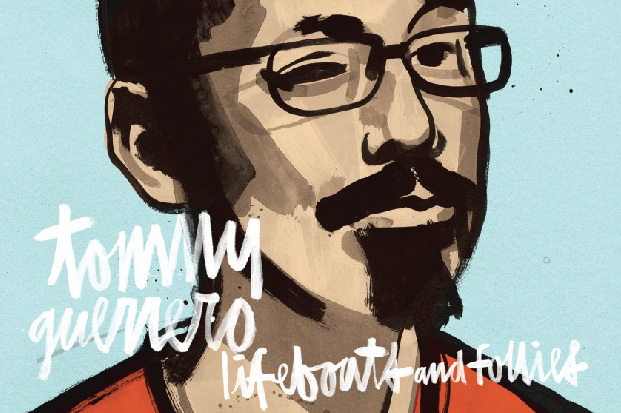 Tommy Guerrero was an authentic pioneer of Modern Street skateboarding, turning pro and traveling the world while still just a teenager. Then, though he was assured to have great success in the world of skateboarding, he decided to pursue his interests in the musical field: Guerrero was a member of the skate rock band “Free Beer” and the experimental group “Jet Black Crayon”, but has had more success as a solo artist. Born on September 9, 1966 in San Francisco and raised on its colorful and gritty streets, Tommy Guerrero evolved thanks to the fusion formed by the cultural mix of music, art and skateboarding. The early four-track tunes he offered were heavily groove-based, with obvious blues, Latin and soul overtones, but as time and albums went by, the music became more critically acclaimed and his EP’s and singles started incorporating a wide variety of delicious soulfood mix: rock, jazz, hip-hop and funk elements. More than a decade of tirelessly working his craft has passed since, and has resulted in this new album “Lifeboats and Follies” which is by far Guerrero’s most fully realized sonic collage. The tide of groove remains, but is formed by the far denser and complex interplay of an expanded quiver of instruments and sounds. The simplicity of Tommy’s early work was catchy, but the expansive compositional skill that has shown itself amongst the tracks here is cinematic in scope, offering a richer, more muscular tone and greater depth of emotion. The soup has been thickened, the fire is smoldering, and Tommy is sweating it out all night, every night. Pedro Barros wins Oakley BOWL-A-RAMA™2011!